Jawa Motorcycles: The new bike will have a liquid-cooled engine and packs 27bhp and 28Nm 28Nm of torque and a 6-speed gearbox claimed some reports. 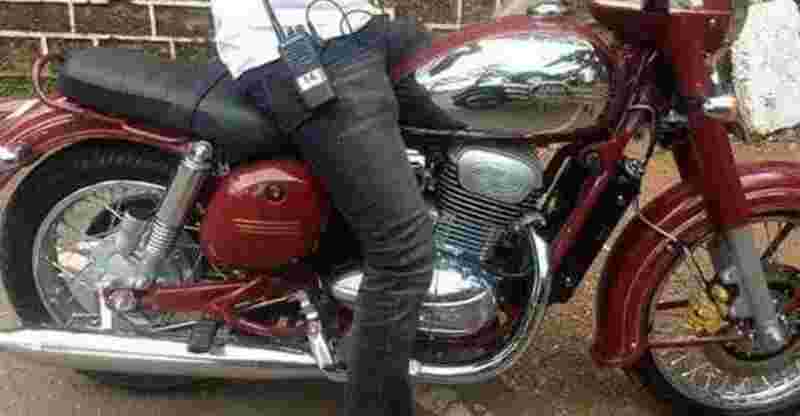 Jawa 300cc Bike: It has large heavy looking mudguards, a two-tone fuel tank, and an airbox, as spotted in the leaked images. Jawa Motorcycle brand is now 100-dealership strong! The much anticipated 300 CC motorcycle from Jawa will be unveiled on November 15th. However, the automaker has released a teaser video of the bike three days ahead of its launch. The new bike will have a liquid-cooled engine and packs 27bhp and 28Nm 28Nm of torque and a 6-speed gearbox claimed some reports. The bike will be powered by the dual exhaust 293cc single-cylinder engine. The exhaust notes are throaty and will be different from that of Royal Enfield. Leaked pictures have already given the bike lovers a fair idea about the look of the bike. The Jawa bikes are being brought back by the Classic Legends Private Limited (CLPL), a subsidiary of Mahindra and Mahindra, and BSA Company. The bike's wheel will have spokes instead of alloys. The new bike has borrowed a lot from the old bike in terms of design. The bike will carry the classic look to maintain its old-school appeal. The new Jawa bike will have round headlight and a dispersion-style lens. There will be anti-lock braking system in dual disc brakes and front wheels. It has large heavy looking mudguards, a two-tone fuel tank, and an airbox, as spotted in the leaked images. The seat looks flat. It is not clear whether the bike will be launched with the same flat seat or it will have a better seat like Royal Enfield bikes.